In 1970 John Williams was said to have proclaimed “this just might be a pretty damned good place to grow wine grapes” when speaking of the area that is now known as the Red Mountain AVA in South Central Washington. 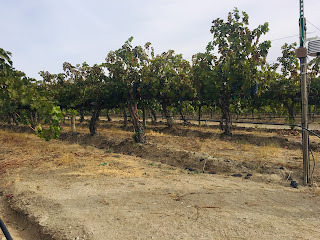 Because of his proclamation and the subsequent formation of the Red Mountain AVA, I found myself at Kiona Vineyards & Winery in early October at the Red Mountain AVA pre-conference excursion as a part of the annual Wine Bloggers Conference. John Williams and his family are what I consider "the OGs" of Red Mountain. The original “first” family. Our first stop in Red Mountain was at Kiona Vineyards & Winery where we met with JJ Williams, grandson of Kiona founder, John Williams. JJ met us casually in a baseball hat, jeans, and plaid shirt. Fine wine country fashion! The highlight of the conference for me was our time with JJ as he spoke so passionately and eloquently about Kiona and the Red Mountain AVA. He was unapologetically honest, which you don’t always get when people are speaking to the media/press. Where the heck is Red Mountain, you ask? Red Mountain is a sub-AVA of the Yakima Valley in South Central Washington. It is the smallest and warmest grape growing AVA in Washington with about 65% of vines planted to Cabernet Sauvignon. 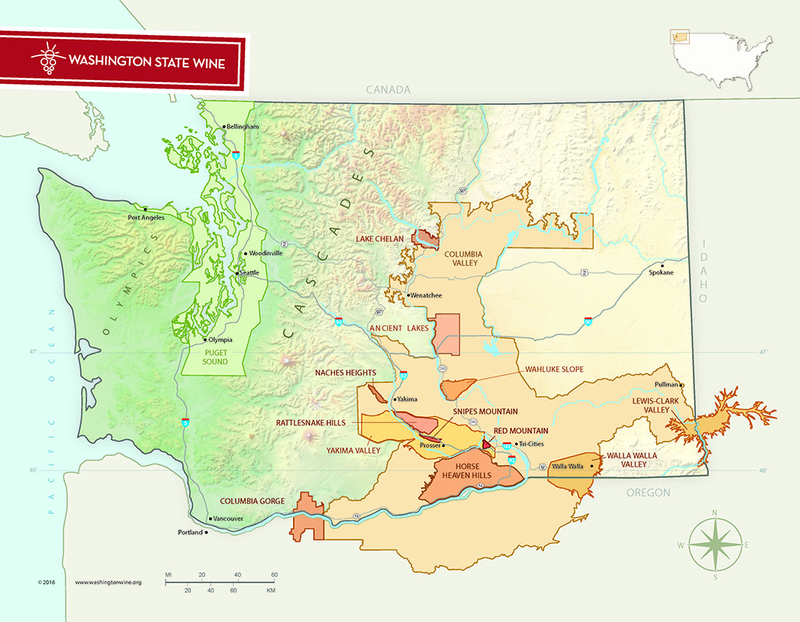 Red wines from Washington tend to show the following characteristics: Strong fruit characteristic, vibrant acidity, and strong varietal typicity. Cabernet tastes like Cabernet, Merlot tastes like Merlot, etc. Remember back to our tasting: the Washington wines were described by fresh fruit descriptors: blackberry, cherry, cassis, plum, etc. The first descriptor used on the wines from other areas were often not fruit; but words like savory, herbal, leather, wood, and oak. The fruit in Washington takes a front seat. Okay, so if all of that is true about Washington/Columbia Valley wines in general, Red Mountain wines take that up a notch. Within Washington, winemakers will use Red Mountain fruit if they need more color, more tannin, or more structure… basically, more “oomph.” It can almost be viewed as a Petit Verdot type of addition in a blend. Deep color, stout tannins, and strong fruit character are Red Mountain calling cards. John Williams (JJ’s grandfather) and Jim Holmes met working together in the 60’s at General Electric. In 1972 they bought the first plot of land destined to be grapevines in what is now the Red Mountain AVA. In 1975 the first vines were planted: Cabernet Sauvignon, Chardonnay, and Riesling. 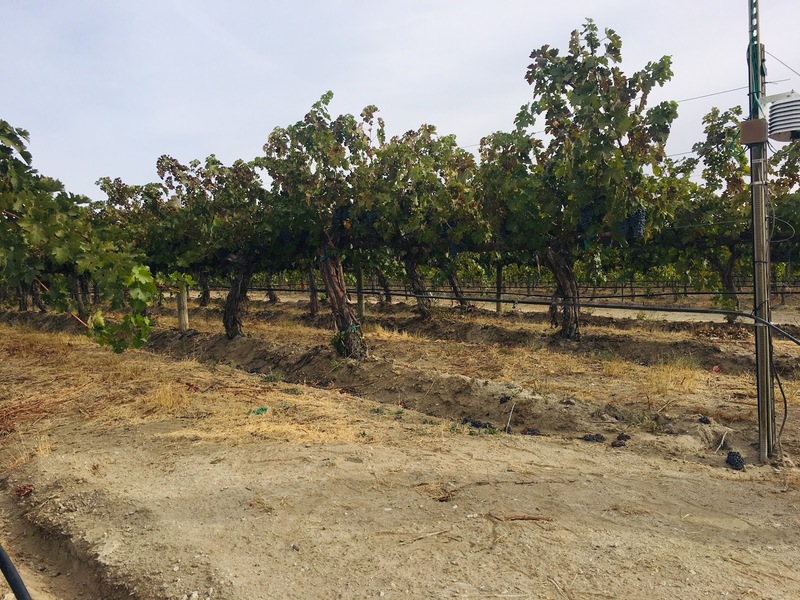 In fact, below is a picture of 4 of the original Cabernet Sauvignon vines. The first vintage of their wine was produced in 1980 under the Kiona name. Kiona then became one of the founding members of the Yakima Valley AVA in 1982. And in 1994 the Holmes family sold their share to the Williams family, giving them full ownership. And that is how it is to this day. No investors. No banks. Only family. It is no surprise that in 2018, Kiona Vineyards & Winery was named Washington Winery of the Year by Wine Press Northwest. According to JJ: Kiona operates with roles that are less traditionally-defined than most. Even though they have their titles, both Scott and JJ operate as Co-General Managers, with his (Scott's) focus being primarily production, and JJ's focus being the business side of things. JJ’s younger brother, Tyler, has dedicated his education and career thus far to being a world-class winemaker, with stints in Bordeaux, Chile, Australia, New Zealand, South Africa, Sicily, and more. He is also finishing up a masters degree in enology. Succession plan? They’ve already thought of it. According to JJ: Tyler (my brother) and I needed to specialize in areas that would affect the company in the most dramatic ways, and assume positions that would be difficult/impossible to hire an outside person to do as well as we were, given our backgrounds, experience, and last name. 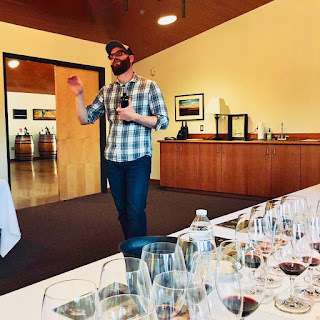 I do a lot of things that would—traditionally—fall under the “winemaker” umbrella, including blending, product/portfolio composition and execution, as well as broader decisions such as barrel/aging philosophies, vineyard/grape allocations, etc. But in terms of wearing galoshes and hooking up hoses/pumps in the winery, that’s not my day-to-day experience. The Red Mountain AVA is over 4,000 acres with 2,600 planted under vine. And according to JJ, all the good, plantable land is taken, so this is pretty much it for the AVA. What is planted now is what the region will be in 20-30 years. Pretty cool. What defines Red Mountain and makes the wines what they are? These are the 5 pillars that those in the area count as their competitive advantage to make good wines. Slope: The area has a good slope and SW aspect, which is beneficial for prolonged sun exposure and warmth. This helps to create ripe tannins, which is a characteristic of Red Mountain fruit. Low Rainfall: The region is relatively dry with an average of less than 5” of rain annually. Irrigation is necessary. Low rainfall helps to mitigate disease/pest pressure. Breezes: Which come out of the SW. This air drainage keeps clusters small and concentrates fruit, which is also a hallmark of Red Mountain. Heat: The vines receive 16-17 hours of sun daily. This creates ripe and concentrated fruit. Plus, cool evenings help the grapes retain their acidity, which aids in maintaining balance and structure. While with JJ we also had an interesting conversation about oak use. Most wineries are not going to be so honest and we all appreciated JJ’s candor on the topic. He shared that it is his belief that as a general rule, winemakers want to use less oak. But the issue is that consumers demand it (in the sense that they want a certain style of wine; one that generally sees oak treatment) and on the same token, if you seek to receive ratings/scores, those critics generally demand oak use (even if it a subtle demand in that the styles of wine that receive the good score have generally seen more oak). JJ left us with this thought: If you’re a winery with a wine club, you have allocated wines, and/or seek ratings and scores...you’re going to use oak. It’s an interesting lever to pull and a very complex topic with many opinions on the table. Lastly, as part of the Red Mountain tastings, JJ never poured his own wines. Now that is humility. The Zinfandel Capital of the World?